Many Windows users often get this error Can’t Connect to this Network, while trying to establish internet connection. This could be very frustrating to get this error as it will prevent you from browsing internet. Here are some methods which you can try to troubleshoot Can’t Connect to this Network issue. 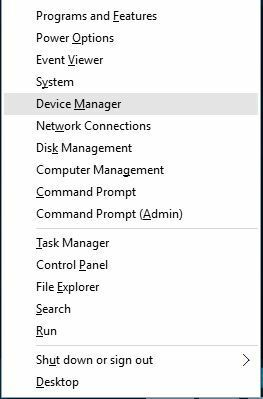 In the Device manager window and expand Network adapters. 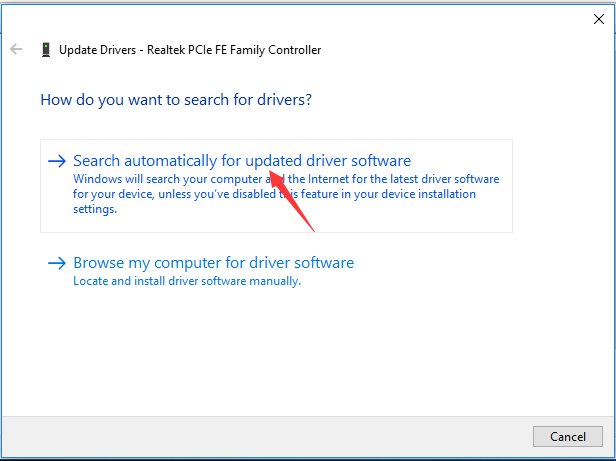 Right-click on your network adapter and select Uninstall device. Check Delete the driver software for this device. Then click Uninstall. Error “ Can’t Connect to this Network” can occur because your router for some reasons fails to assign appropriate IP address to your computer. In such case try restarting your router to fix this issue. Press the power button on your router to turn it off, after a while again press the power button to start the router. Press Windows + I to open the Settings app. Select Troubleshoot from the menu on the left and then select Internet Connections. Now choose Run the troubleshooter. Once the troubleshooter is finished, check if the problem is still there. Hold the Windows Key and Press R. Type ncpa.cpl and Click OK. Right click your network adapter and choose Properties. Uncheck Internet Protocol Version 6 (TCP/IP). Reboot your PC to save changes. 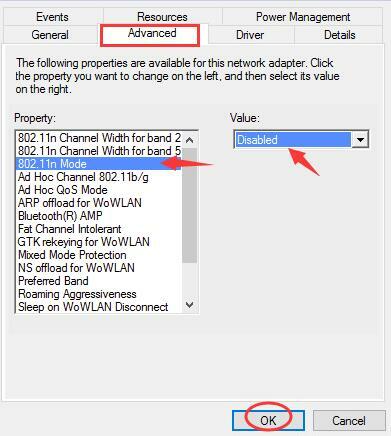 Click the Advanced section, then click 802.1 1n Mode and set the Value to Disabled. Try to establishing your network connection. Set the security type for your router by following the instructions from your router’s instruction manual. wireless connections come with certain security types such as WPA2-PSK (AES) or WPA-PSK (AES). Go to Security tab, find Security type section and select the same security type that your router is using. Go to Start Menu and type cmd in the search box. Open Command prompt with Administrative Rights. Go to Manage known networks, select your Wireless network and click Forget.